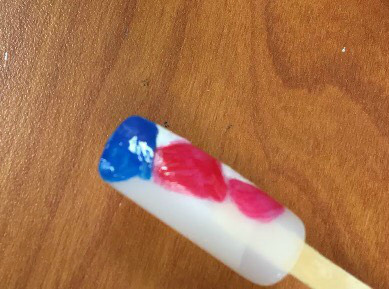 Looking for a fun nail design perfect for the month of July? We’ve got one!!! 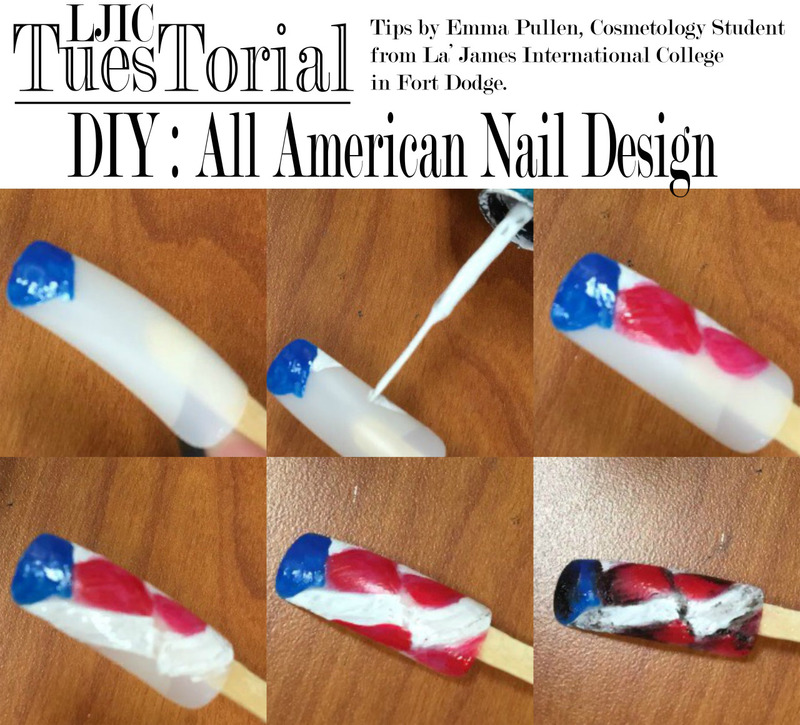 Today’s TuesTorial is called All American by Emma Pullen (Cosmetology student at La’ James International Collegein Fort Dodge). The key for this look is to take your time and build little by little. 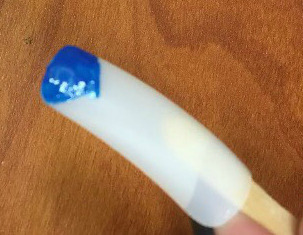 Step 1: Apply blue polish to the tip of the nail. Just get creative with your shape. Rules do not apply for this look! Let your creativity run wild! 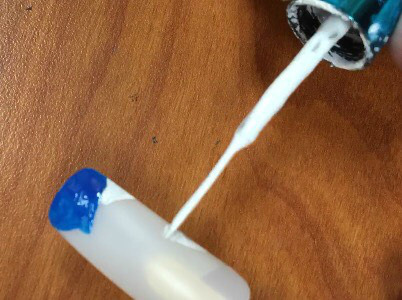 Step 2: Use white polish to create a stripe running down the nail. 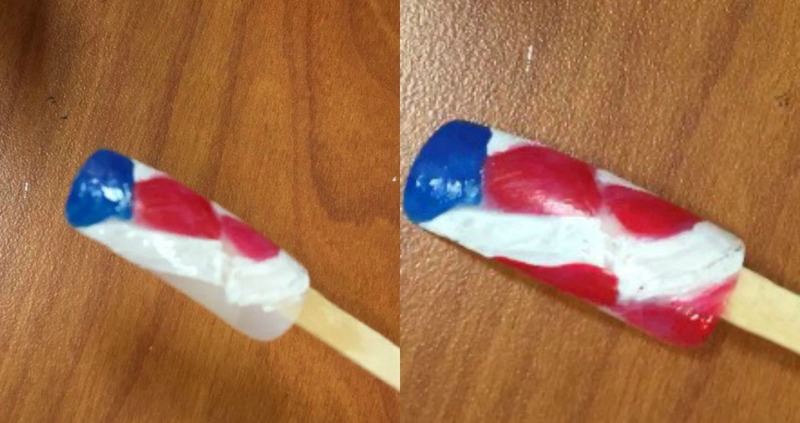 Again, get creative! Step 3: Next, apply red polish to create another stripe down the nail. Step 4: Repeat step 2 & 3. 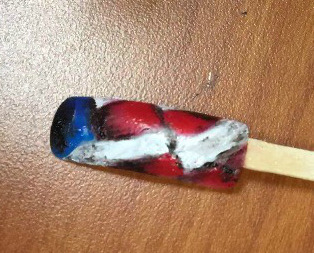 Step 5: Use black polish to add shading and create some dimension on your flag design. Great job Emma! Thank you for the tips and for participating in today’s #LjicTuesTorial! Contact a Career Planner to learn more about La’ James International College and our upcoming classes! Call 888.880.2108 or visit www.LJIC.edu today!